Eldon H. Donohue, 85 of St. Paul, died Tuesday, January 29, 2019 at the Veterans Affairs Medical Center in Grand Island. 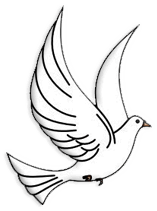 Katharine M. (Dudley) Donohue, 82, of Upland, formerly of St. Paul, died Monday, October 25, 2010 at Kearney County Health Services Hospital in Minden. Katharine was born on July 5, 1928 to George & Marie (Johnson) Dudley. 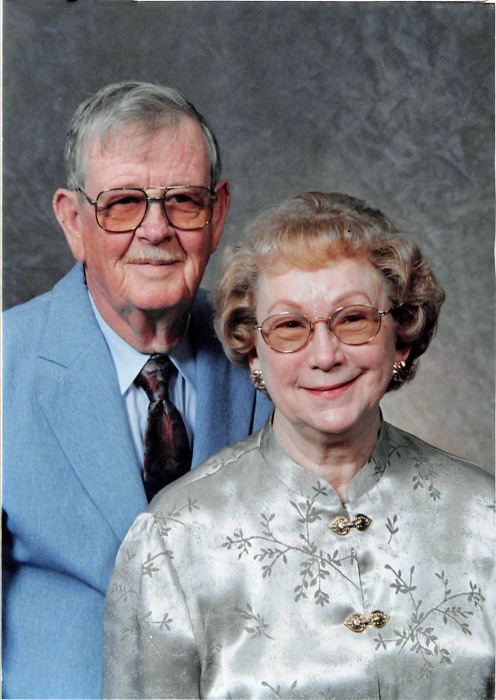 A Memorial Visitation will be held for Eldon and Katharine along with their cat, Kiggie, from 2-5 P.M. on Saturday, February 16, 2019 at Jacobsen-Greenway-Dietz Funeral Home in St. Paul. Memorials are suggested to the family to be designated at a later date. Eldon was born on April 22, 1933 to James H. & Alice (Ivy) Donohue on the family farm in Cheyenne County, KS. He grew up in Cheyenne County, KS where he went to school. Eldon ran a snow plow during the Blizzard in the winter of 1948-49. He served in the U.S. Navy entering on May 6, 1952 and was honorably discharged on March 24, 1961. He was stationed in Charleston, S.C & was the mail orderly on the ARL-13 USS Pandemus. One of his greatest accomplishments was scoring 109% on the Civil Service Test. He was united in marriage to Edna Marie Anderson on April 21, 1953. They had 2 sons, James and Timothy. Eldon later married Katharine Dudley on August 30, 1965. Eldon drove for Burlington Northern Railroad, then worked for the Veterans Affairs Hospital. He owned & operated the Pink Slipper & the Paddock Bar in Grand Island. Lastly, he was a Retired Rural Carrier for the U.S. Postal Service. His hobbies include fishing, gardening, & reading. Survivors include his son & daughter-in-law, James "Jim" & Linda Donohue of Farwell; grandchildren, Bryan Donohue of Farwell, Jennifer & Trevor Hemmingsen of Palmer, Katharine & Christopher Coplen of Farwell, Caitlin Donohue of CA; 8 great-grandchildren; brother, James Larry Donohue. Eldon was preceded in death by his parents; wife, Katharine; son, Timothy Donohue; 2 brothers, Wesley Donohue & Lester Donohue.